Back in March 2010, I started this blog. 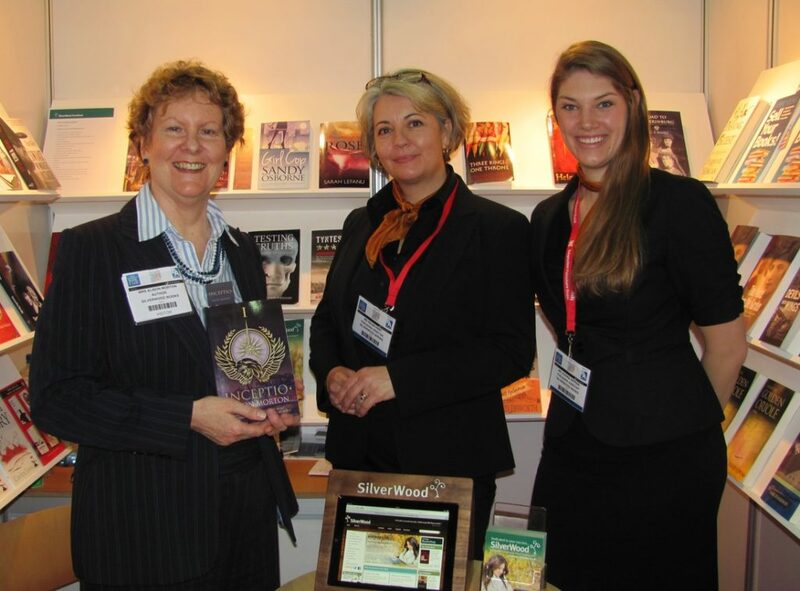 Weeks later, in the Year of the #Ashtag, I descended on Earl’s Court for my very first London Book Fair. 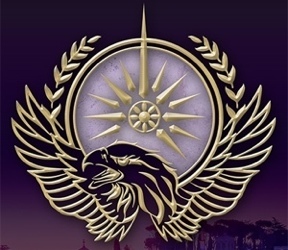 Breathless newbie that I was to this writing and publishing game, I was entranced. 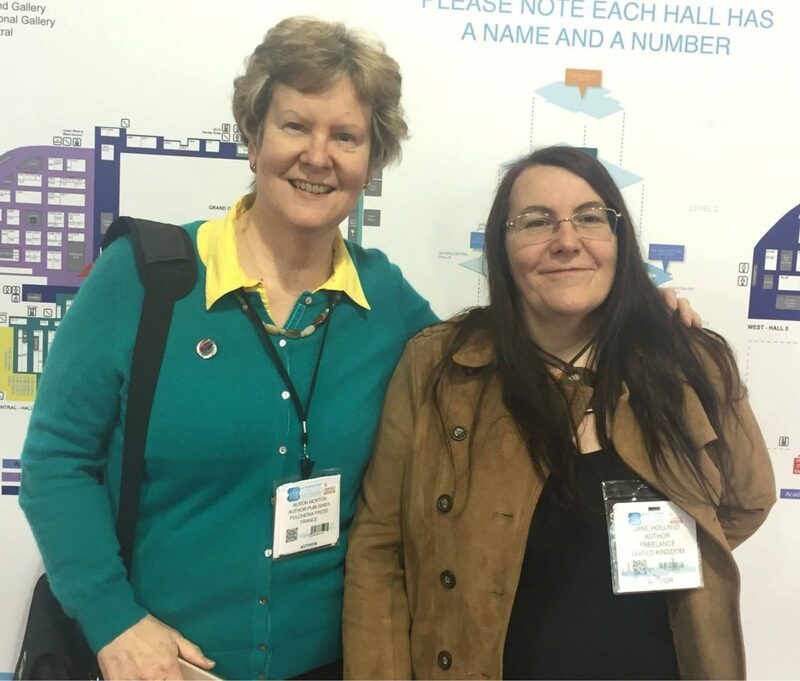 I went there, with my planned schedule, aiming to get a feel of the industry, to increase my knowledge, to talk to people and, of course, to meet up with fellow Twitterers(sic!). All this I did. But I got a lot more. 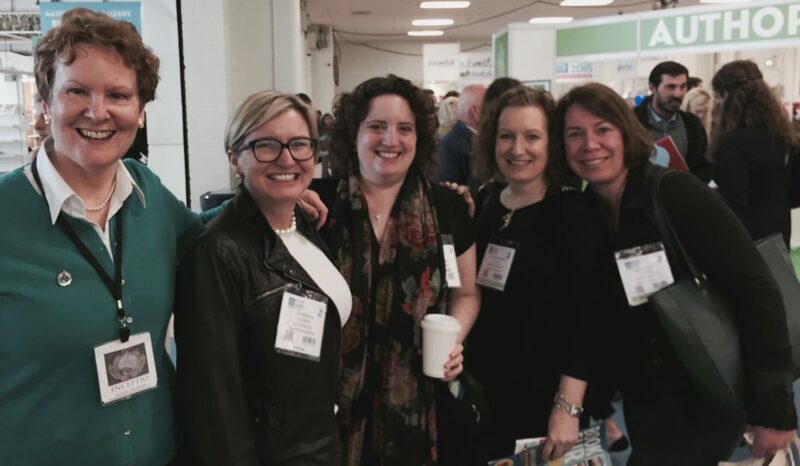 Although it was a trade show, and it was obvious that many meetings were prescheduled business deal-makers, what struck me was the friendliness and willingness to talk of all those I got chatting to, whether on the stands or at the coffee shops. As a newbie to this world, I am not yet cynical or blasé, so despite my sore feet I was very satisfied with my day out. Last week I went to my fifth one: the other four were 2013; 2014(1), 2014(2), 2014(3); 2015(1), 2015(2), 2015(3); 2016 (INSURRECTIO launch!). 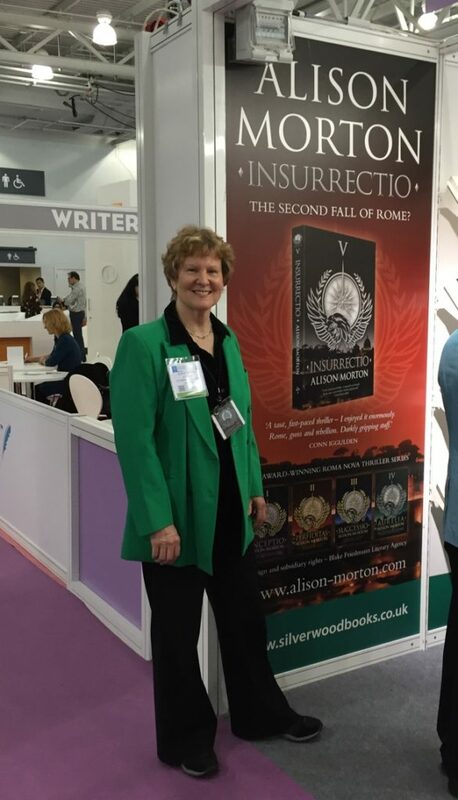 London Book Fair 2016 – INSURRECTIO launch! 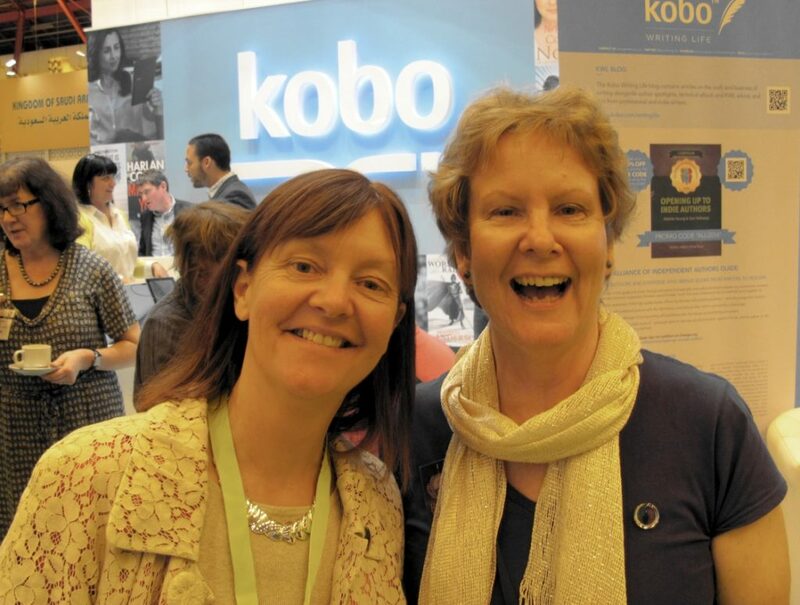 As I became more established on my publishing journey, I learnt increasingly more about publishing and marketing and knew more people – agents, authors, publishers, movers and shakers. My focus shifted from sitting in talks to talking to people. This year, I went for three days and spent 90% of my time talking to others. What about? Anything and everything to do with books, concerns, opportunities, how to do things, other people to meet. The panellists gave an overview of the American publishing industry, from what genres and authors are most popular through to how American publishing industry differs to that in the UK, and the process of book to film and TV in America. Panellists: US literary agent Gail Hochman, President, Brandt & Hochman Literary Agents Ltd, and president of the AAR, the professional organisation of American literary agents; Philippa Donovan, Editor of her consultancy Smart Quill, and literary scout for Mad Rabbit, a producer in LA. 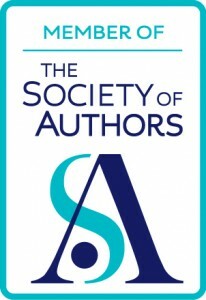 Previously, she commissioned children’s and YA fiction for Egmont, and managed authors as a literary scout for Random House and literary agency A P Watt; Porter Anderson, Editor-in-Chief, Publishing Perspectives, online business magazine that covers the trends, people, and companies shaping the global book industry. Chaired by Dr Alison Baverstock, Associate Professor Alison Baverstock PhD PFHEA co-founded MA Publishing at Kingston University. There had been slightly less growth in the book market, but audio was on the increase. Colouring in books had peaked, but scratch off books were the newest novelty! (Sigh) Romance, mystery, thriller and suspense dominated, literary fiction not so much. Bowker recorded 625,000 indie published books with ISBNs; they had no record of books published without, so that could be any figure you could think of. The chief problem in the US market was the ‘wall of content’, i.e. so many books published that it was very difficult to make yours heard about the roar. The trend now is for fewer books of higher quality; don’t bash out X books per year in order to keep shoving books in front of your audience. And don’t just self-publish – submit to mainstream publishers too. Publicly, optimism level for the book market is 8/10; realistically 4-5/10. Only 3% of the US market was translated work, so UK authors had the advantage of English. For TV series which are hotter than feature films, companies are looking for UK books with excellent sales, said Philippa. For fiction, Gail said you didn’t need a huge social media platform, you just needed to grab an agent with your book. Great characters, a strong story, magic writing are essential and editors like books that would be popular for book clubs. The main takeaway was that all three stressed the importance of character; a strong protagonist would win through. Panellists: James Spackman, freelance publisher and consultant, currently working with Profile Books; Katie Roden, publishing, marketing, branding and content strategy consultant and chaired by Peter McKay, Chief Executive of The Publishing Training Centre. As an industry, we love books – and attach a huge amount of value to them. But if we think ‘the reader’ looks just like us, we fail to understand the preferences and behaviour of real people who might buy books, or of the way books exist in people’s lives. How they use them, talk about them, and the hard fact that for many they are a brief holiday distraction at best and a complete irrelevance at worst. Insight teams tend to be the preserve of big conglomerates, and don’t always manage to overcome anti-research culture to become genuinely influential. Even those that have broken through focus solely on easy targets – the small minority of the population that already buy books regularly. Book trade people have a weird and distorted view of books; objects, texts and cultural currency. The two lively presenters gave some hard truths with the aid of voxpops, then some practical ways to ‘get over ourselves’. The solution? Go to ‘normal places’ like supermarkets, airport departure lounges and watch how people interact with books there. How do they behave around books? 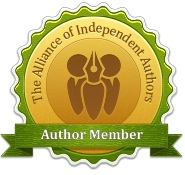 Join book groups. What do they choose and why? Associate with fans of the ideas behind the subject of the book. A gem: people hate a quote on the front of a book that doesn’t tell them what it’s about. It matters. Look at how our content, description and cover appear on mobile devices. Forty-two per cent of users only use apps for books that they already use for other purposes. Reading has a ‘boring’ image and is not seen for fun and leisure. You are up against Candy Crush which is highly addictive. Why? Also consider that not everybody reads fast, so short chapters are good. Read bestsellers to see why they are bestsellers. Consider seasonal hooks like snow on the cover when releasing a book in the second half of the year. 3. It isn’t normal to have a TBR (To Be Read pile). It’s niche. Reading for some is a holiday activity. However, everybody cares about something. Watch out for news, features, programmes in print, other media, social media about the books you are publishing/selling. Where do people spend their hard earned cash? Look for stories about people and the events they go to. Well, for an indie author that was interesting. Many of us talk direct to our readers now; we belong to interest groups online and in real life, we are aware of mobile, bookshops are generally not our main outlets. But before we become too cocky, we sometimes don’t break out of the zones where we operate and are in danger of becoming just as insular. Excellent advice! And some real revelations there! 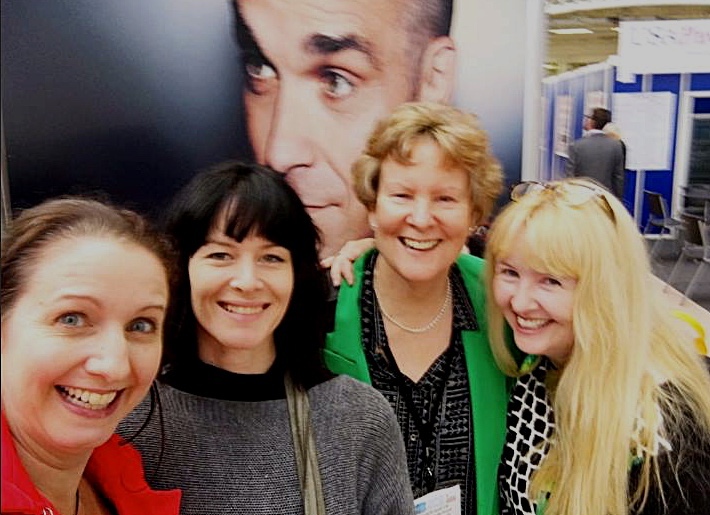 Maybe I’ll go to LBF next year! Thank you, Alison, for an entertaining and informative summary! Delighted you found it helpful, Nikki. Yes, go once just to do it! Great article, Alison. I went fir the first time this year and would have liked to stay longer, hear more talks etc. Maybe stay for the whole thing next year? There’s always a great buzz and it’s especially memorable the first year you go. It was a pleasure to meet up with you. On to 2018! Lovely to have met up at such a buzz-y event.